So my husband and I decided to try some Spaten German Beer last night. We went to our local beer distubutor and picked up a variety pack. These beers to my suprise were actually light in taste. Below find out my review on each of them. (Sorry about the clarity of the photos, For Some reason my camera wasnt working that well). 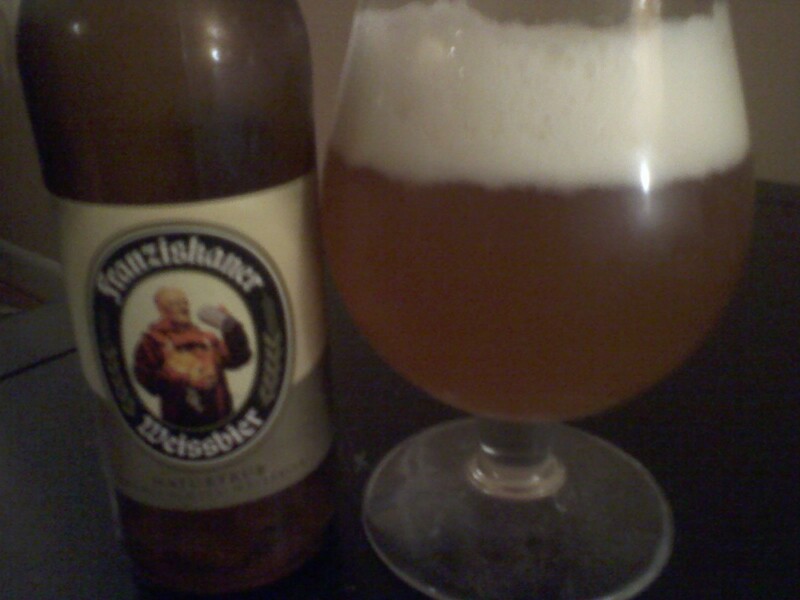 Franziskaner Weissbier has a Citrus taste, is light in color but also cloudy from the yeast. This beer goes great with Chicken wings. I give it a 8 out of 10. 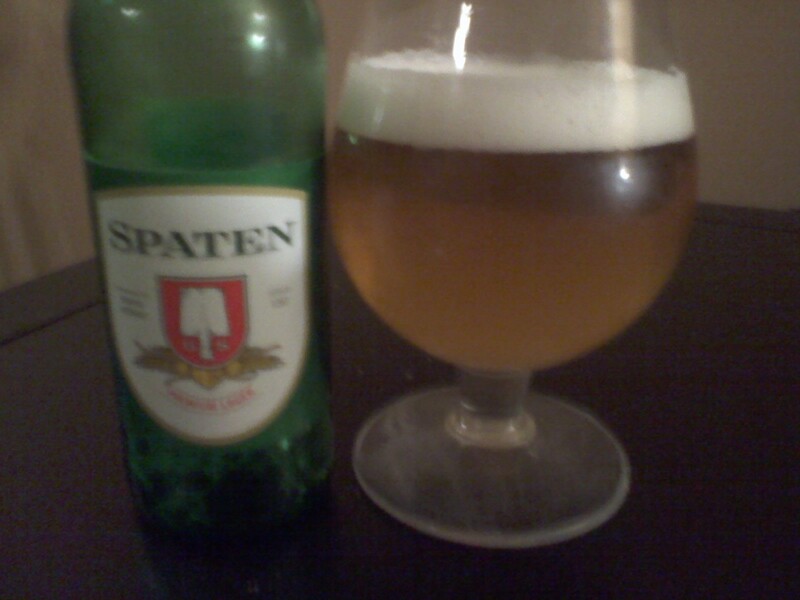 Spaten Premium Lager is slightly flat in taste and light in color. Great on a hot day. I give this beer a 5 out of 10. Spaten Munchen Dunkel has a Molasses taste, and dark mahogany in color. Recommended with a Steak dinner. I give this beer a 6 out of 10. 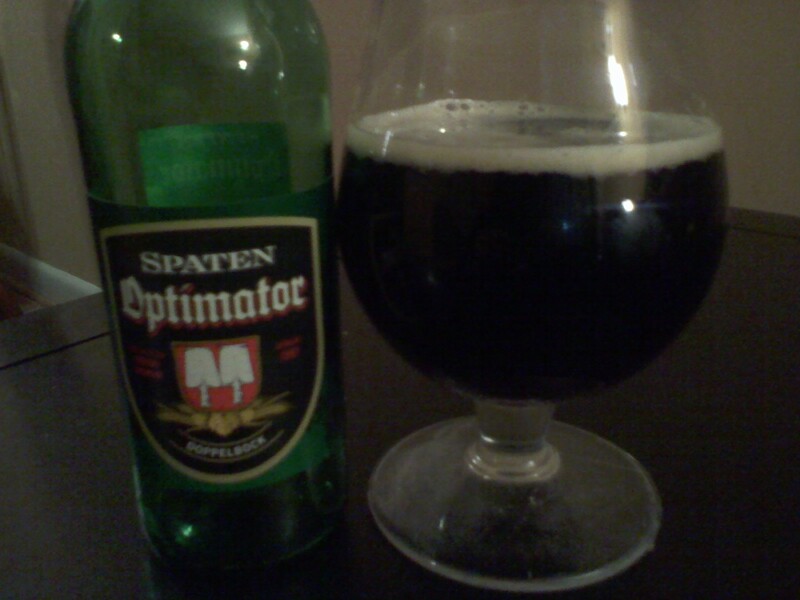 Spaten Optimator Doppelbock is sweet in taste, dark in color. Good Carbonation. Great with some Teryaki foods. I give this beer a 7 out of 10. Previous Post Stir it up! I lived in Munich for over a year and Franziskaner Weiss was one of my favourite beers! I still love the stuff! Weissbier is one of my favorites! You can’t beat the refreshing citrus taste on a hot summer day. These would have been great the bratwurst we cooked last night! Franziskaner is one of my favourite Wheat/Weissbiers. Good for you for picking those up and giving them a go. Wheat beer is great with fish, too – one of my favourite combo’s is chilled Weissbeir and Calamari – give it a go! Looking at these pictures have made me thirsty. Now I definitely have to try this at a local distributor. Bad influence! – Not had a beer for a month – torture, torture, torture. Love the German beers, they have a great flavor to them. I get them from our local beer distributor regularly.